Optimization of energy consumption is major concern for the design and planning of wireless sensor networks (WSNs). Recent research has demonstrated that organizing nodes in clusters has higher energy efficiency. LEACH is the most popular routing protocol for cluster-based in WSNs, and FCM algorithm is used for the optimum number of the clusters and their location. Aiming at the shortcomings of LEACH and FCM-LEACH, which including inaccurate cluster centers, unreasonable clustering and sole data transmission mode. 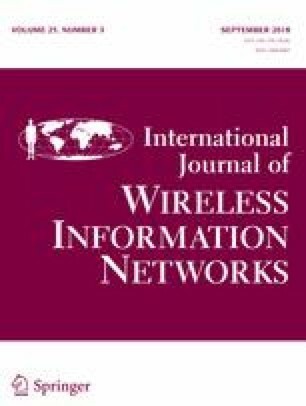 This paper proposes a new energy efficient routing algorithm (NF-LEACH). In the new algorithm, There are many factors have considered to prolong the network life cycle that they are the degree of membership, residual energy, base station distance and data transmission mode. Finally, the comparison among LEACH, FCM-LEACH, and NF-LEACH has been done. The results show that the NF-LEACH has the longest lifetime and the most evenly distributed amongst three algorithms. The authors acknowledge the Key Laboratory for Electric Drive Control and Intelligent Equipment of Hunan Province and Hunan Provice Nature Science Foundation of China (Grant: 2015JJ5025), Hunan Province Education Department Project of China (Grant: 16C0473), National Torch Program of National Science and Technology Department of China (Grant: 2015GH712901).